7 Statements Creatives Can’t Afford To Believe — michellcclark.com - More than what you came for. Hey you. Yes, you. Do you wish that you could tune out all of the voices in your head that make you want to quit? 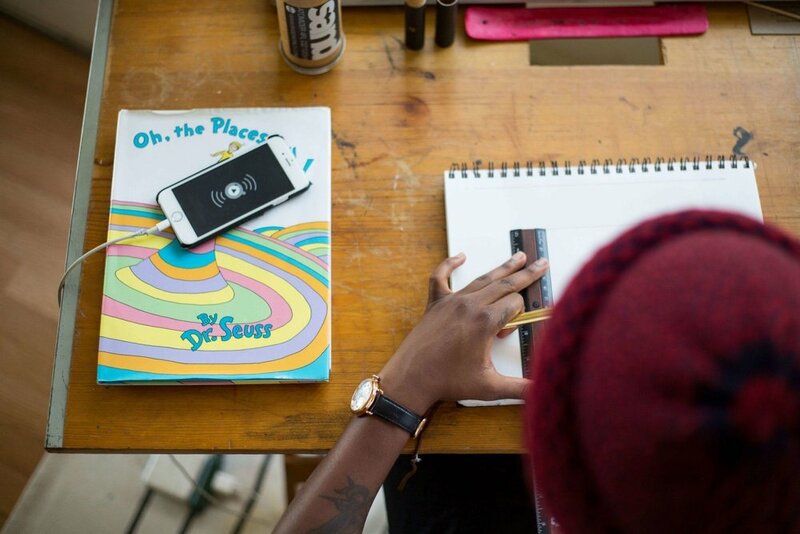 Do you wonder what it feels like to walk confidently and fearlessly in your journey as a creative? I know I do. I wish that I didn't have to battle with my own thoughts - it's hard enough to push through external obstacles. I struggle with my own self-defined limitations more than I'd like to admit. Pushing past your inner skeptic is easier said than done. You have to affirm yourself. You have to encourage yourself as consistently as you hone your craft. I'm still trying to put myself in a space where I don't feel burdened by my own thought process. It's a challenging and often painstakingly slow process, but I have made progress. I'm in a better mental space than I was this time last year. Here are some of the thoughts I've had to avoid en route to seeing myself as a beautiful work in progress instead of letting my failures define the way I think of myself. You spent hours putting the pieces together. You worked in spurts, letting things fall into place as inspiration hit you. You shaped your vision with precision. You asked for input from your circle, and made countless revisions. Finally, your latest creative project is complete. You like it, but you’re not sure if the rest of the world will approve. Is it too unconventional? Is it as good as everything else you’ve published? Too edgy? Too difficult to digest? Too simple? If you’re not careful, all of the questions are going to drown out the excitement that allows you to create in the first place. Be diligent throughout your creative process, but don’t let the questions in your head stop you from sharing your gifts with the world. "Be diligent throughout your creative process, but don’t let the questions in your head stop you from sharing your gifts with the world." Everyone had to start from square one at some point. Someone who discovers their passion tomorrow could be a globally recognized expert in their field one day if they put the right habits into place and adhere to them consistently. You might not think of yourself as an expert at your craft, yet. You might not even think that you’re proficient. No matter where you fall within the spectrum of competency, every day presents you with an opportunity to continue to hone your craft. You’re alive, which means that you’re good enough to take one more step forward. “If at first you don’t succeed, dust yourself off and try something else.” It’s tempting to take this approach when you don’t see the results you hoped for. It’s not easy to make time for creative ventures in the midst of dealing with life’s challenges and distractions. It’s even harder to make time with a perceived failure or shortcoming fresh on your conscience. However, some of those moments when you contemplate quitting can be turning points that lead to your biggest successes. Don’t get me wrong - not every failure is an invitation to push through. Sometimes, it’s good to quit. We’ve all attempted something that we realize isn’t meant for us in retrospect. It’s up to you to determine if you need more practice, or new direction. Even if you change directions, keep going. We need you. Humility is important. Recognizing that you have a lot left to learn and accomplish is admirable. It suggests that you’re still an active learner and open to new experiences. It’s indicative of someone who’s not done growing. You don’t have to diminish your accomplishments and experiences in order to be humble. You don’t have to discount the work you’ve done thus far to appease people who don’t see value in your qualifications. Even if you’re just starting a new career or creative endeavor, a proactive and diligent mentality is worth being proud of. Committing to actualizing your dreams is worth celebrating. The work is just beginning, but some people didn't even make the choice to clock in. You did. "Committing to actualizing your dreams is worth celebrating. The work is just beginning, but some people didn't even make the choice to clock in. You did." There will always be someone who knows more than you do. At the same time, there will always be somebody who can benefit from your experiences and your perspective. You don’t have to be the smartest person in the game to pass down knowledge to someone who needs you. Being knowledgeable is important. Having the right perspective is, just as important. You're equipped to teach people about how to overcome some of your most recent obstacles. Someone with ten years more experience in the same field as you might be too disconnected to that same obstacle to help that same person. Your perspective matters. You’re not always going to feel equipped to make the most of the opportunities that are placed in front of you. You always have a choice: rise to the occasion, or let the opportunity pass you by. The majority of your growth will not be sparked by operating within the realm of what you consider “comfortable.” It’s easy to say that you’re “not ready,” but you’ll get a lot further by telling yourself that you can GET ready. Embrace the intimidating opportunities in front of you as motivation to level up, as opposed to things to be afraid of. Experience is the best teacher. Put yourself in position to push past your current limitations. Success is not binary. There is no one accomplishment that will signify the end of your journey, or completion of your process. Maybe you haven’t achieved the one “thing” that will make you feel like a success story. That doesn’t mean that you haven’t accomplished anything admirable or worthwhile. You can appreciate what you’ve accomplished thus far, and be hungry to continue your level up. Be kind to yourself during this process. Avoid a thought process that doesn’t give your past self enough grace. Don’t fall into the trap of blaming yourself for not using the knowledge you have today before you acquired that knowledge. Treat the additional insight that you hold now as a tool to be used for greater accomplishments in the future, as opposed to a reason to bash yourself for past mistakes. Did this article connect with you? If so, feel free to share it on Twitter. I'd really appreciate it. 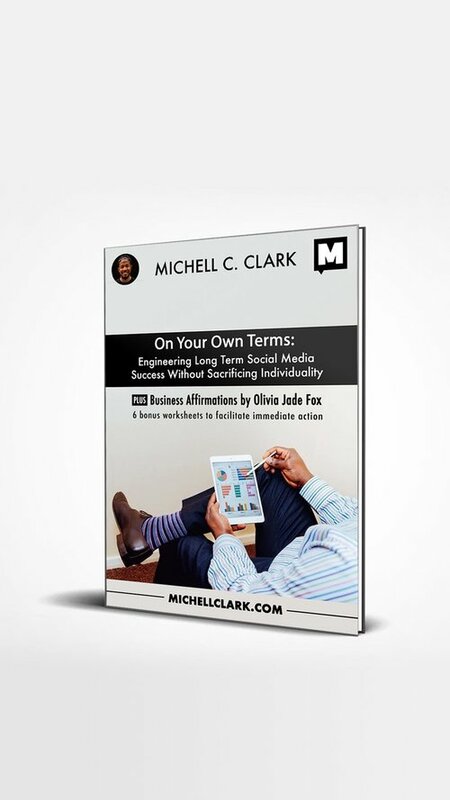 I WROTE YOU A 33-PAGE E-BOOK THAT WILL HELP YOU TO ACHIEVE SOCIAL MEDIA SUCCESS ON YOUR OWN TERMS. Sign up for my #MakeEmailGreatAgain newsletter in the form below, and I'll send you a FREE copy of my book.